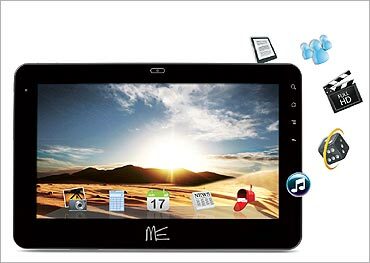 Bangalore-based EAFT Technologies has launched the 'Marathon' tablet PC. Priced at Rs 29,900, it sports a 10.1-inch screen and runs an Android (Version 2.2) operating system powered by an NVDIA Tegra2 chip. The company hopes 'Marathon' would complement its product line. 'Marathon' is not the last of the tablet PCs from the Indian stable. 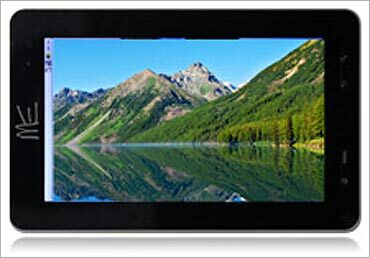 While Olive Telecom, MSI and even IT services company HCL Technologies have already launched tablet PCs in the country, companies like Spice Telecom, Bharti Teletech, Micromax, Zen Mobile, Karbonn and Lava Mobiles appear keen to introduce their own tablet PC versions in the market soon. Market research firm, CyberMedia Research expects the Indian tablet PC market to account for 100,000 tablet PCs or 0.1 per cent of the mobile market this year. 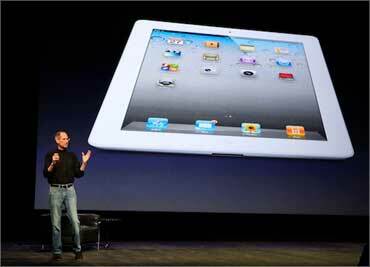 Analysts say the need to hit the market with a tablet PC model has become critical for most mobile PC vendors. 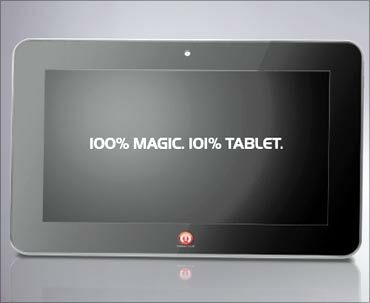 Image: Notion Ink's Adam tablet PC. 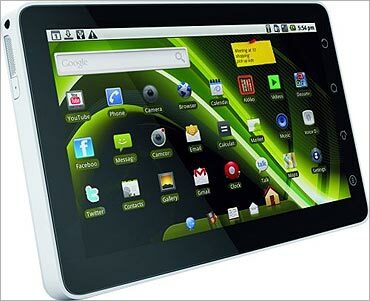 Last year, wireless devices maker Olive Telecom unveiled a 3G tablet PC, OlivePad, which was priced at about Rs 25,000. Designed as a multi-functional device, OlivePad functions on Android operating system 2.2 and supports 3.5G HSUPA, Wi-Fi, and bluetooth. With an inbuilt three-megapixel camera and a front camera, the OlivePad can be used for browsing, multimedia, instant messaging, social networking and also works as a smartphone, allowing voice and video calling, camera and smartphone. What sets it apart from established tablet PC devices like the Apple iPad is the fact that it supports flash and sports a mini USB port. Arun Khanna, chairman, Olive Telecom, had then asserted that USB tethering and portable Wi-Fi hotspot would distinguish the device from its competition. While tethering allows one to use the tablet as a modem when connected to a PC or a laptop through a USB cable, the Wi-Fi hotspot feature makes converts the tablet PC into a Wi-Fi router, so that OlivePad's 3G connection can be shared with multiple Wi-Fi devices. 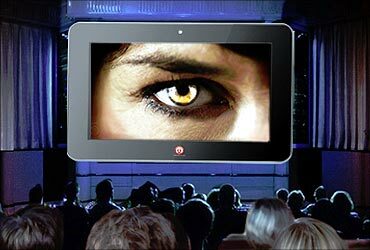 Lava Mobiles would launch a seven-inch tablet for about Rs 18,000. It has even set up a team to develop India-specific applications. 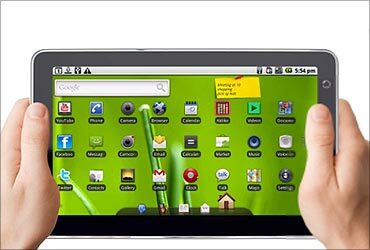 Zen Mobile too, is soon expected to add an Android-based 10-inch screen tablet PC, which would be priced at Rs 15,000-Rs 20,000. 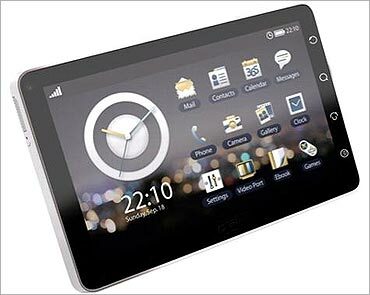 HCL Technologies has also decided to step into the market, with its Me tablet PC range that runs on the Android 2.2 operating system. 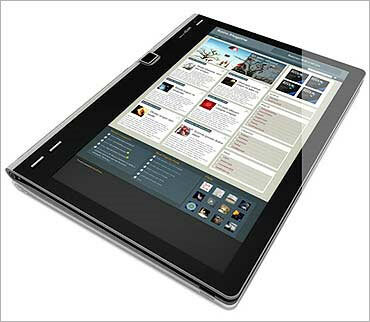 Image: HCL Me tablet pc. The company has launched two different Me models - one with a seven-inch screen, another with a 10-inch screen. 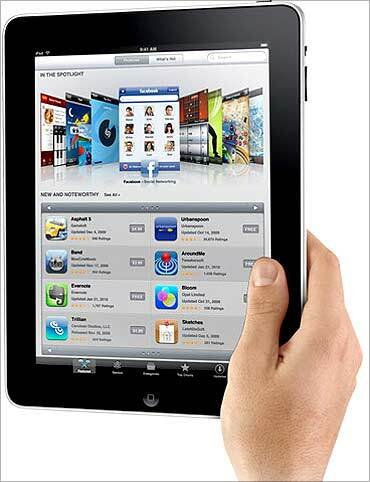 The tablets have the HCL Touch function, which allows users to access local content with the touch of a button. 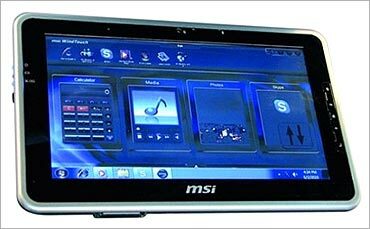 PC makers like MSI have also jumped into the tablet PC wagon with WindPad, which is priced at Rs 34,990. Manoj Kumar chief executive (consumer durables and electronics), Future Group, says, "MSI has launched the first tablet with Microsoft Windows exclusively at e-Zone, and we are sure the consumer will like it." The WindPad 100W tablet PC features the Intel mobile platform processor, a 10.1-inch multipoint touchscreen, an SD card reader, USB 2.0 slots and a mini HDMI port. 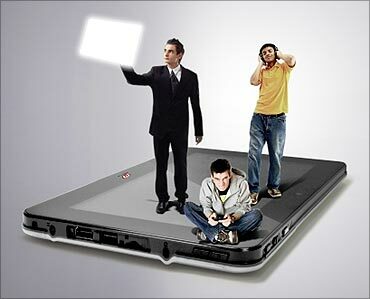 Image: WindPad 100W tablet PC. Globally, the tablet PC market is dominated by established brands like US-based Apple Computers and Taiwan-based Samsung. Although many analysts agree no product competes with the millions of tablet PC apps that Apple's iPad offers, Android's latest Gingerbread version made specifically for the tablet PC models has been well-received by tablet users. 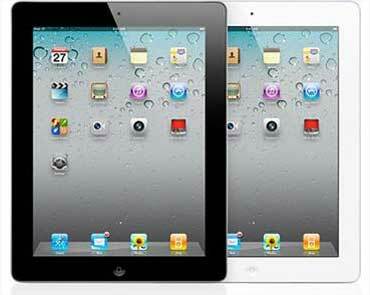 Global trends, however, are different from those of the Indian tablet PC market, which is still in its infancy. Recent figures from research firm IDC say tablet shipments in the first quarter of 2011 fell 28 per cent sequentially to 7.2 million. This suggests the demand for tablet PCs may not be quite as high as it is thought to be. Apple iPad and iPad 2 continued to be the best sellers in the first quarter, but even Apple posted quarterly shipment numbers "well below expectations". Android-based tablets, on the other hand, cashed in on Apple's woes, with the operating system's market share spiking 8.2 points sequentially to 34 per cent. Will tablets take over PCs in India?